Katia Mounthault-Tatu is the Public and Government Affairs Manager for Chevron Congo, based in Pointe-Noire, Congo. Her responsibilities include the business unit’s various public affairs and corporate responsibility programs, and support of key industry related initiatives. She represents Chevron at the Extractive Industry Transparency Initiative Congo Executive Committee, and sits on board of the Society of Petroleum Engineers (SPE) Congo Section and serves as the organization’s Program Chair. She also serves as a Vice-President at the Oil Federation at UNICONGO, a corporate think tank representing the private sector in the Republic of Congo. Katia Mounthault-Tatu began her career at Chevron in 2003, and has worked on several projects related to her field of expertise. In 2009, she transferred to Chevron Washington, DC offices where she worked as an International Government Affairs Manager representing Chevron’s Africa interests with the think-tank, NGO, business, and Diplomatic communities of Washington, and later returned to her native Congo in late 2011. In Congo, she serves as the focal point for the company’s engagement with various levels of public institutions, local authorities, the ROC Government and the Office of the Head of State. Katia is an active community leader. She serves as the Vice-President for the Kouilou region at the Congolese Red Cross, and helps promote a variety of NGOs in the area of education and children protection as well as organizations promoting African culture. 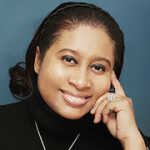 Katia is a published novelist and is currently working on several books and educational projects. Mrs. Mounthault-Tatu received a Bachelor Degree of Science in Political Science and a Master Degree in Political Science from Suffolk University in Boston, and earned a Master Degree in International Policy and Practice (MIPP) from the Elliott School of International Affairs at George Washington University in Washington, DC.